Mr. Paul Brannon was born in 1980 at Fort Walton Beach Medical Center. In 1983, Paul's family moved from Fort Walton Beach, Florida, to Destin, Florida, where Paul attended school at Destin Elementary and Bruner Middle School. Paul played competitive golf for three years for Fort Walton Beach High school's boys' team and actively participated in leadership programs for the high school. Paul graduated from Fort Walton Beach High School in 1998. Upon graduation, Paul was accepted and attended the University of Florida. During his sophomore year at the University of Florida, he was one (1) of the sixty (60) students to be accepted into the Rinker School of Building Construction. Paul earned his Bachelor's of Science in Building Construction in December of 2002. Paul also completed an internship with W. G. Yates and Sons Construction during the summer of 2002. After graduating from the School of Building and Construction, Paul attended law school at Stetson University College of Law. Paul graduated from Stetson in the spring of 2005, earning his Juris Doctor, and passed the Florida Bar Examination in July of 2005. Immediately following the Florida Bar Examination, Paul returned to the Fort Walton Beach area to begin the practice of law with his father, Dennis. 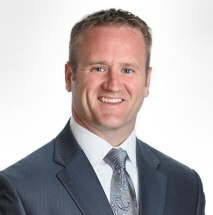 Paul has limited his practice to personal injury, wrongful death and general insurance claims. Paul has led and co-chaired numerous cases to trial. He continues to represent injured victims in and out of court. Paul is married to Kristen Denhardt Brannon, whom he met while attending law school at Stetson University College of Law. Paul and Kristen were married in 2005 and have a beautiful daughter.